A recent report published by HIMSS Analytics – “The Hidden Cost of Pagers in Healthcare” – highlighted financial motives for replacing pagers in hospitals. The study found that large healthcare organizations were paying an average of $8.40 per pager, per month, for their pager services – an average per organization of $179,000 per year. The study was comprehensive. Researchers looked at 200 hospitals – each with more than 100 patient beds – and spoke with senior executives who had a direct role in the selection, procurement and implementation of their healthcare organization´s pager system. During the preparation of the report, it was found that physicians (82%) were the main users of pager systems in hospitals. Nurses (69.9%) and IT professionals (52.5%) were the next highest groups of users, while the senior executives considered “perceived reliability” to be the main reason for not replacing pagers in hospitals with cheaper alternatives. A further takeaway from the HIMSS Analytics report is that fewer than one-in-five senior executives felt that pagers were time-saving devices – the others accepting that pagers have their limitations. Most healthcare managers acknowledge that paging systems hinder productivity, are responsible for a considerable amount of phone tag and are susceptible to the introduction of errors. Medical professionals lose an average of 45 minutes each day due to the limitations of exchanging patient information by pagers. Replacing pagers in hospitals with a secure messaging system would reduce patient discharge times by an average of fifty minutes each. The cost of lost manpower due to using pager systems was, on average, $557,253 per medical facility per year – or $8 billion per year throughout the whole healthcare industry. When the cost of lost manpower is added to the cost of running “archaic communication technology like pagers”, a hospital of average size and use is paying more than $736,000 per year to maintain their paging systems. TigerText is a HIPAA-compliant secure messaging solution that works across all operating systems and devices with 100% reliability. Using secure messaging apps, authorized users can send and receive messages, documents and images with the speed and convenience provided by modern technology, but without any risk to the integrity of PHI. With up to 80% of healthcare professionals already using a personal mobile device in the workplace, replacing pagers in hospitals with TigerText is an efficient and cost-effective way to accelerate the communications cycle and increase productivity. TigerText is also an appropriate replacement for unsecure channels of communication such as SMS and email. 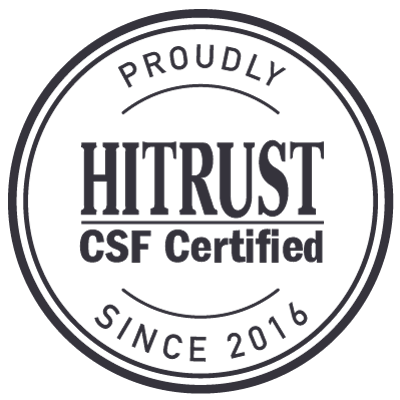 In order to comply with the requirements of HIPAA, all activity conducted through the secure messaging apps is monitored, and safeguards exist to prevent the accidental or malicious disclosure of PHI. Administrators also have the ability to PIN-lock and remotely wipe a secure messaging app if the mobile device onto which it is downloaded is lost, stolen or otherwise disposed of. 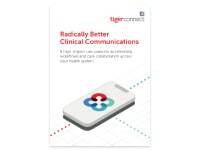 TigerConnect accelerates the communications cycle to increase productivity within healthcare organizations by using features such as delivery notifications and read receipts to eliminate phone tag and increase message accountability. Group messaging features also foster collaboration so that decisions about patients´ cases are made quicker. Off-site and in-field staff members at the Limestone Medical Center saved more than one hour a day following the implementation of TigerText, due to being able to communicate patient care needs securely from their personal mobile devices. Replacing pagers in hospitals with TigerText eliminated duplication and uncertainty about whether a message had been received at Albany Gastroenterology Consultants. The old pager system was retired, saving the medical facility $240 per doctor per year. The Kadlec Regional Care Center resolved delays in the healthcare facility´s care process by integrating TigerText with its EMR. As doctors are advised immediately of critical lab alerts on their mobile devices, they no longer have to wait for an email or phone call. 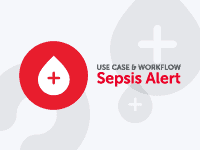 The Kadlec case study is particularly notable because of TigerText’s integration with the facility’s EMR. A report published by the Tepper School of Business at the Carnegie Mellon University, titled “Saving Private Ryan,” showed that when secure messaging solutions are integrated with an EMR, many hospitals witness a reduction in procedural complications (the average was 25%), a reduction in patient safety incidents (on average 27%) and a reduction in medication errors (on average 30%). We compared “The Hidden Cost of Pagers in Healthcare” with the cost of replacing pagers in hospitals with a TigerConnect solution. 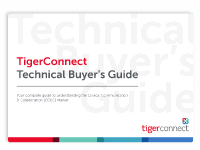 Using data from the 5,000 medical facilities that have already implemented TigerConnect solutions, we established that the average cost of our secure messaging solution was less than $5.00 per user, per month. Furthermore, unlike paging systems, TigerText has no set-up costs. Our secure messaging solution operates through a cloud-based “Software-as-a-Service” platform. Therefore there is no special hardware required, no need to purchase additional services and no need to dedicate the resources of an IT department to get the solution up and running. If you have any questions about the advantages of replacing pagers in hospitals with a HIPAA-compliant secure messaging solution, you are invited to contact us and ask for a free demo of TigerConnect in action. Our team will be happy to discuss the benefits of secure messaging with you and talk about the logistics of replacing your existing channels of communication with a secure messaging solution from TigerConnect.